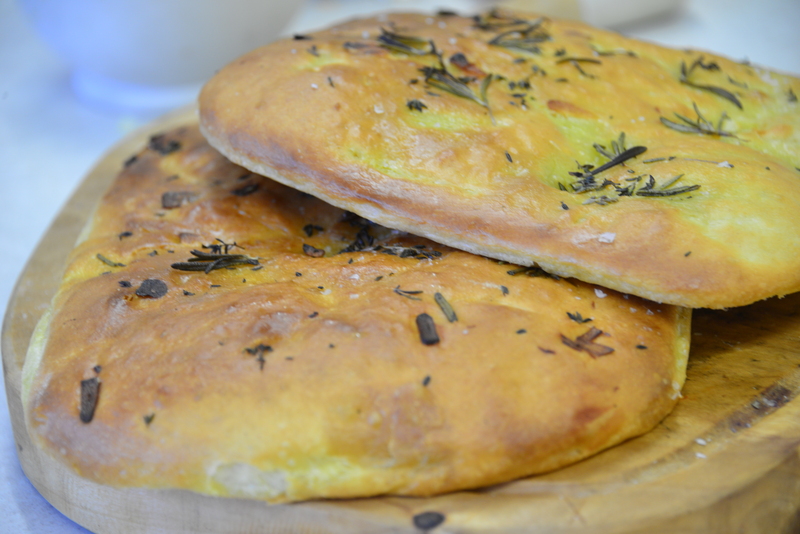 The wind has really picked up today on the island so rather than venture outside I’ve hunkered down in the kitchen to make some delicious warm and comforting focaccia. We’ve got our first sporting guests arriving at Soval House this evening, so I intend to serve this with a hearty game casserole after we’ve been battered by the elements on the riverbank. There’s something very therapeutic about making your own bread, with the delicious doughy smell wafting from the oven, and it costs pennies to make – a great half term activity to do with your children. The recipe below makes enough for two delicious focaccia loaves. Put yeast, flour, salt, olive oil and 3ooml (or 10-and-a-half floz) of cold water into a bowl. Use your hands to stir this mixture into a dough for around five minutes, while gradually adding the rest of the water. Next you’ll need to stretch the dough out in the bowl, then fold the sides into the centre. Turn the bowl by a quarter, then repeat the same process. 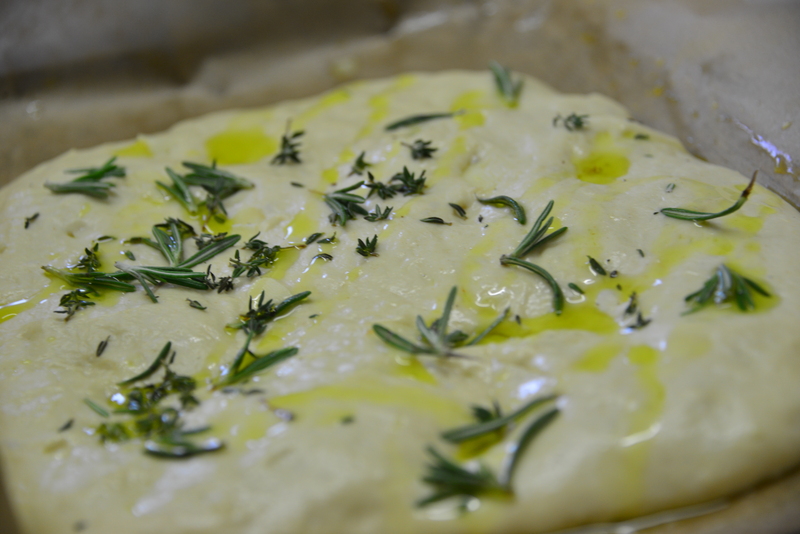 Keep doing this for around five minutes, folding air into your focaccia to make it light and fluffy. Finely chop up your garlic cloves and fold them into the dough, then oil your worksurface and tip your dough out onto it. Kneed it here for another five minutes, then place back in your bowl, cover with clingfilm and leave in a warm room to double in size – this will usually take about an hour, but depends on the warmth of the room. Line two baking trays with baking paper. Divide the dough into two to make the two separate loaves. Flatten each one onto a tray and place back in the warm room to prove for another hour. Scatter the rosemary over the top of each loaf, add a drizzle of olive oil and a pinch of sea salt and place in a preheated oven at 220C/425F. Cook for 20 minutes, until the bread turns a lovely golden brown.